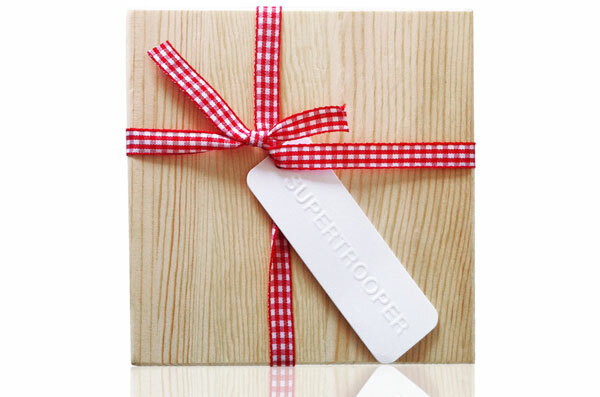 Supertrooper Studio for super-stunning Australian themed wares! I’m going to put it out there and risk ruffling a few feathers – buying Australian themed gifts can be very hit and miss. Far removed from a cluttered Australian souvenir store and not a corked Akubra to be seen, we bring to you Supertrooper Studio, home to Australian inspired products for the modern home. Supertrooper Studio products have a strong, modern Scandinavian feel and are inspired by Australian icons, scenery and wildlife – resulting in decor products that fit effortlessly into modern interiors. 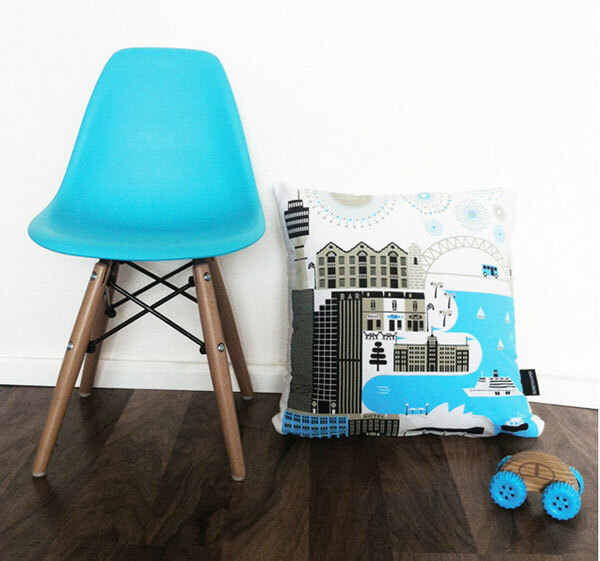 If you love Sydney and all its iconic landmarks, you’ll love the Super Places Sydney cushion, priced $59.99. 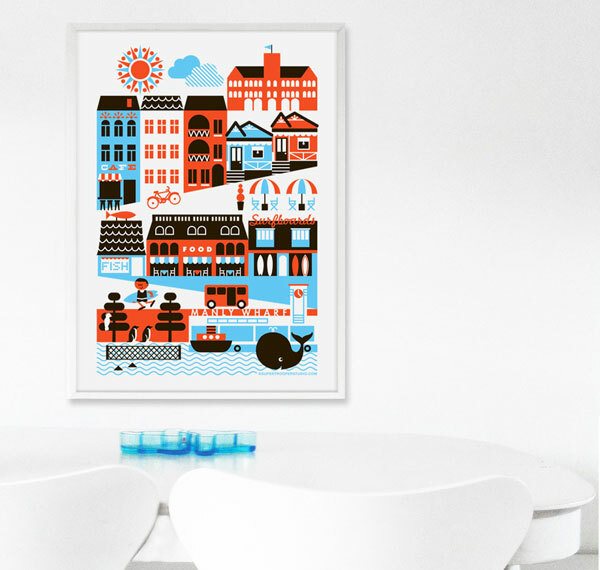 At 45×45 centimetres, its generous size packs quite the visual art punch. We also love the Super Places Small Town cushion, priced $59.99 the colours are beautiful, as is the print filled with apple trees, kites, clocks and even a fire engine. If it’s a child’s gift you’re after, you can’t look past the magnificent Animal Friends Memory Game. Priced $39.99, this beautifully gift boxed game contains sixteen cards of beautiful illustrations, including a koala, magic whale and travelling kangaroo. 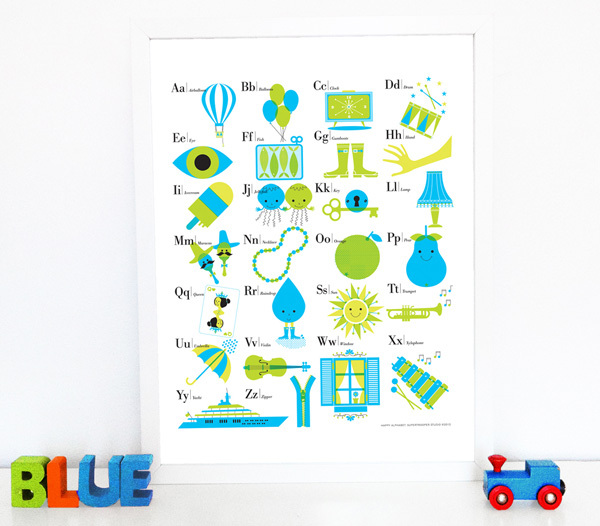 Wall art is plentiful at Supertrooper Studio and the ABC poster ($39.99) is a fabulous first print for the nursery. Available in two colour options – lime green and black or red, blue and black – both look spectacular on the stark white background. Animal lovers will adore the Juggling Seal, Magic Whale and Tap Dancing Octopus posters, all priced $39.99 each. 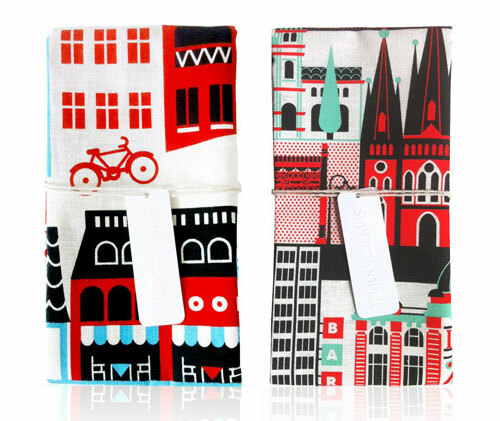 A perfect gift for friends or family living abroad are the Supertrooper Super Places tea towels. Superbly screen printed on off-white linen, we quite fancy the Super Places Manly Tea Towel and the hustle and bustle of the Super Places Melbourne Tea Towel, both priced $34.99 each. 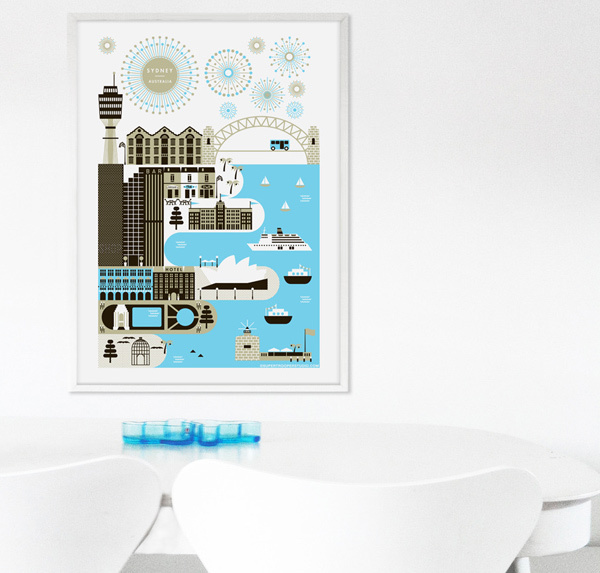 Matching Super Places posters (priced from $39.99) look nothing short of amazing when framed! See the whole collection (and even more Super Places from around Australia) at Supertrooper Studio. Then check our previous posts on Ozzilla and Make Me Iconic for more cool Australiana.